refer to line no.17, you can also write android:name="com.mycompany.myapp.MainActivity" . As a shorthand, if the first character of the string is a period, the string is appended to the application's package name. 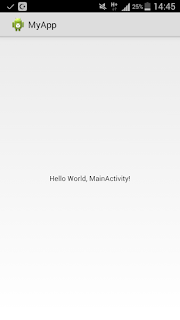 The statement tells the Android that the java class for the activity is MainActivity.java. The reason for having it in reverse order is to do with the layout on the storage media. The import statement imports types from a package by telling the compiler where to look for unqualified type names during compilation. android.os. * - Provides basic operating system services, message passing, and inter-process communication on the device. android.view. * - Provides classes that expose basic user interface classes that handle screen layout and interaction with the user. 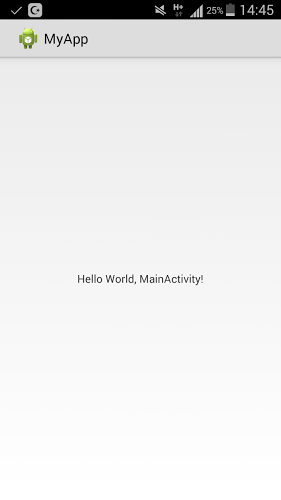 Refer line no.15, MainActivity is calling a layout resource file named main.xml. sir, can u post some tutorial how to make table_layout using AIDE? im stucked over there. thanks!